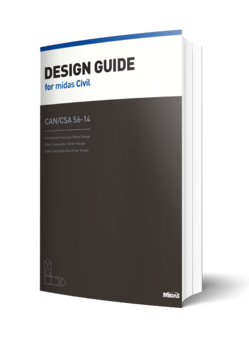 This guide is designed to help you quickly become productive with the design options of CHBDC CSA-S6-14. Chapter 1 provides detailed descriptions of the design parameters, ULS/SLS checks, design outputs used for prestressed concrete girder design to CHBDC CSA-S6-14. Chapter 2 provides detailed descriptions of the design parameters, ULS/SLS checks, design outputs used for steel composite I-girder design to CHBDC CSA-S6-14. Chapter 3 provides detailed descriptions of the design parameters, ULS/SLS checks, design outputs used for steel composite box girder design to CHBDC CSA-S6-14. 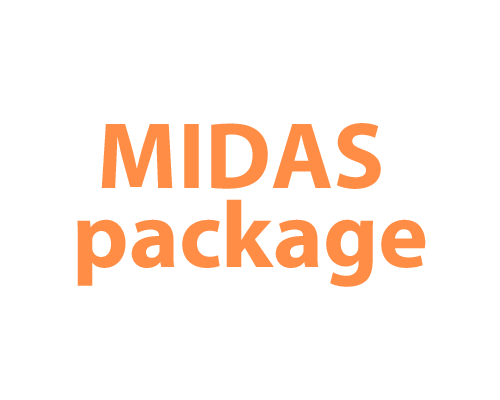 midas Civil finite element analysis and design system. and to provide relevant references to the clauses in the design standards. steel composite I-girder and steel composite box girder as per CHBDC CSA-S6-14. which can be found on our web site, www.MidasUser.com, before designing.